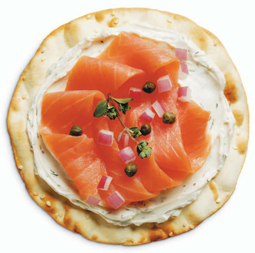 Valley Lahvosh Crackerbread and Flatbread has earned three Best of Show awards from the prestigious American Tasting Institute, whose panel of professional chefs declared these uniquely delicious products to be America’s best. Agnes Saghatelian’s grandfather, Gazair, came to the United States in 1922 to escape persecution in Armenia, and like many immigrants he brought traditions from home with him. He settled originally in Massachusetts, but his asthma required a drier climate, so he moved to Fresno. In fact, Gazair established his Valley Lahvosh Bakery right across the street from the Armenian Church, and the bakery and church were the center for an entire Armenian neighborhood. He built his home next door to the bakery, and all his children grew up there. Agnes’ mother Janet, the youngest of six children, started working with her father and her brother Sam in the bakery when she was 12 – a fact she is fond of reminding the younger generation. In 1982, when both her father and brother had passed away, Janet became the company’s president. The bakery still makes fresh pida loaf breads, and the people in Fresno and the surrounding area still come to the bakery to buy it. But the greatest growth has been with the lahvosh, which is now sold nationwide. Valley Lahvosh Hearts are the number one seller in their retail business and have become the company’s signature shape. Now they also make stars.